Have you ever wondered which are the best and most accurate bible translations according to scholars? Before we get into any deeper analysis, let’s first make some things clear. There are over hundreds of different translations of Bible to English, and each version can be analyzed through two views of how translation should be. First, we have a literal translation, which means that every word should stick as closely as possible to the original version of Hebrew and Greek. This may sound as a very logical solution, but we should think twice. Not every word has an equivalent in another language, and what is more, the construction of sentences differs as well. Therefore, if we use literal translation in the end we could have a real mixture of just thrown words on the paper, without making any sense. It can be, however useful in close studies. On the other hand, there is so called thought-for-thought translation, which tries to transfer the message from the original text so that it could be understandable, using as many words as it needs to succeed in it. So, if in English we need three to five more words to explain the same thing in Hebrew, there is no problem in adding them. The point is to keep the context of the message and make it understandable. The number of people that read and buy Bible is enormous! Every year there are 100 million sold all around the world, and it easily tops bestseller lists. According to CCES Church among the most sold ones are: New International Version (NIV), the New American Standard Bible (NASB) and the King James Versions (KJV), including the New King James Version. However, depending on which purpose you need the Bible for, you will buy a particular version. If you are doing a serious study, you would need more literal translations, as we mentioned before. Then you should look for the New International Version, the King James Version, the English Standard Version or the New American Standard. On the other hand, if you just want to read it for your own use, then some of the suggestions are the New Living Translation, or Contemporary English Version. If you want to know more about each of them, in order to decide, look at the Cambridge list of Bible versions, and if you are new in all of this check out 5 Easiest Bible Versions To Read and Understand for Beginners. 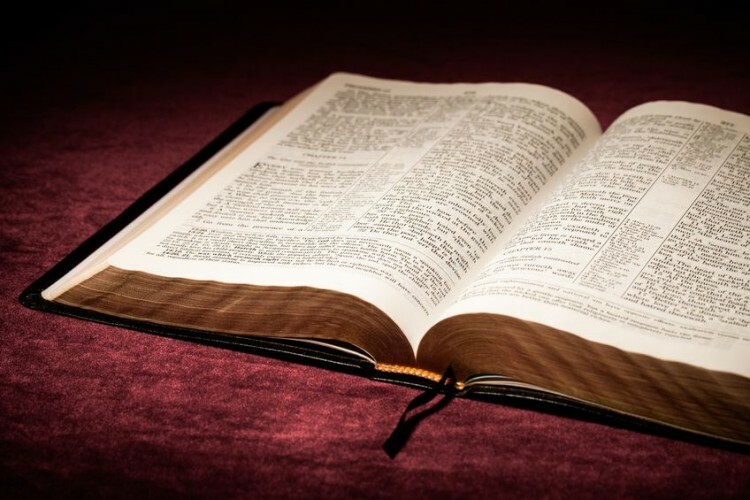 In order to see which version of Bible is the best and most accurate according to scholars, we firstly have to introduce you the scholars we chose for this little research. Daniel B. Wallace is an American professor of New Testament Studies at Dallas Theological Seminary. He is also the founder and executive director of the Center for the Study of New Testament Manuscripts, and his main project within it is to digitize Greek manuscripts of the New Testament through digital photographs. Second is Dr. Norman Geisler, who is mostly known for his scholarly contributions to the subject of classical Christian apologetic. He has a Ph.D. in philosophy from Loyola University and he is a co-founder of two Evangelical seminars. Last, but not least, is Mark Noll – an American historian who is specialized in the history of Christianity in the United States. Currently, he is the Research Professor of History at Regent College. In 2005, he was named one of the top influential evangelicals in the US, according to Time magazine. By researching their articles, blogs, and interviews, we gathered the most frequently repeated suggestions from each of the scholars. For the reference’s sake, we should mention that they all create a difference between the two types of translations we mentioned earlier. Moreover, they also mention some other scholars and their thoughts on it, which we also included. We additionally compared their suggestions as well, and then created our list of best and most accurate bible translations according to scholars. Hope you will enjoy!